Electrical engineering student Bryanna Brown spent her summer researching fuel cells that can dissolve in water after use and was awarded a special scholarship for her efforts. Bryanna Brown (right) with Assistant Professor Seokheun "Sean" Choi. “What happens after you’re done using electronics?” That’s the question electrical engineering student Bryanna Brown always asks when she first starts explaining her research. While the answer varies, too often old electronics end up in landfills instead of being recycled or reused. Not to mention that the speed of technological advances means the newest smartphones or laptops are being disposed of at a faster rate. Brown has been working on a way to change that, one that doesn’t require everyone to know exactly how or where to recycle their electronics but that changes the technology altogether. Last summer, she worked with Assistant Professor Seokheun “Sean” Choi from the Electrical and Computer Engineering Department as part of the Louis Stokes Alliance for Minority Participation (LSAMP) summer research program. For Brown, the research was a perfect combination of her interest in biology and her electrical engineering major. “I have always been interested in both biology and technology. Initially, I thought that I might try biomedical engineering, but I wanted more of an engineering background so electrical engineering was a better fit for me,” she says. Although she says Binghamton is still pretty cold. 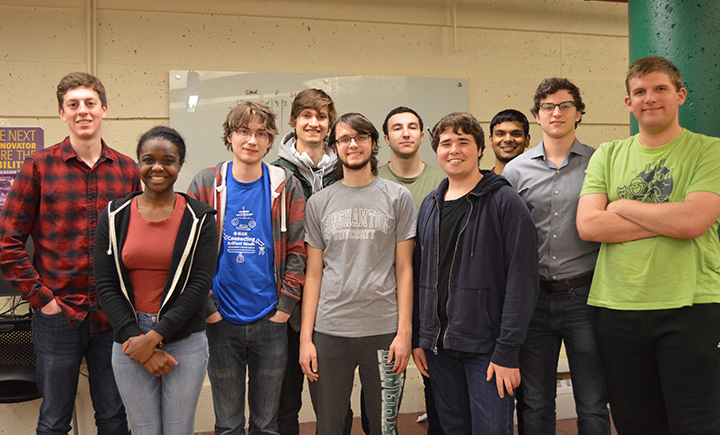 The Binghamton University Mars Rover Team leads. Since starting the program she’s been a part of the Binghamton Mars Rover Team, was recently inducted into the electrical engineering honor society Eta Kappa Nu and serves as the Fundraising Chair of the National Society of Black Engineers. She’s finishing up her junior year and plans to continue on at Binghamton for her master’s with the 4+1 accelerated program with the ultimate goal of being a professor. 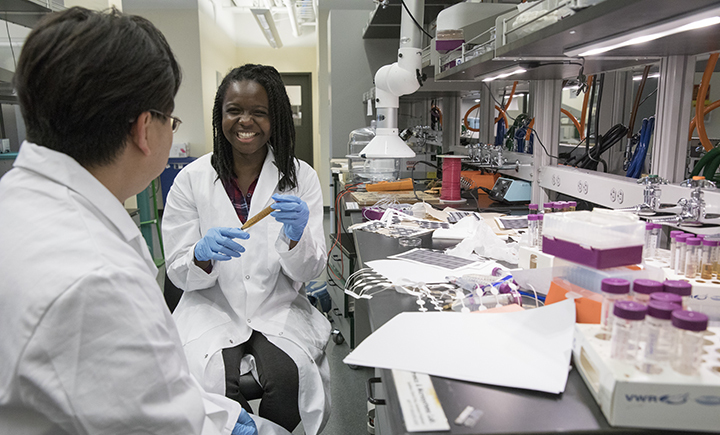 Brown’s summer research got the attention of the former Watson School director of diversity programs, who successfully nominated her for The Parris Student Support STEM Scholarship. Established in 2004, the scholarship is awarded to rising sophomore, junior or senior students with financial need, federal work-study eligibility and academic merit. Tonya Parris ‘92 founded the scholarship program for students from disadvantaged backgrounds who are pursuing degrees in STEM disciplines at Binghamton University. Brown’s most recent research, as well as research that she has done in the past, has given her the opportunity to present at a variety of research competitions, something she has been doing since she was in 10th grade. She recently competed in the Collegiate Science and Technology Entry Program (CSTEP) Oral Research Competition where she won first place in the category of Engineering and Material Science for her project on dissolvable power sources.